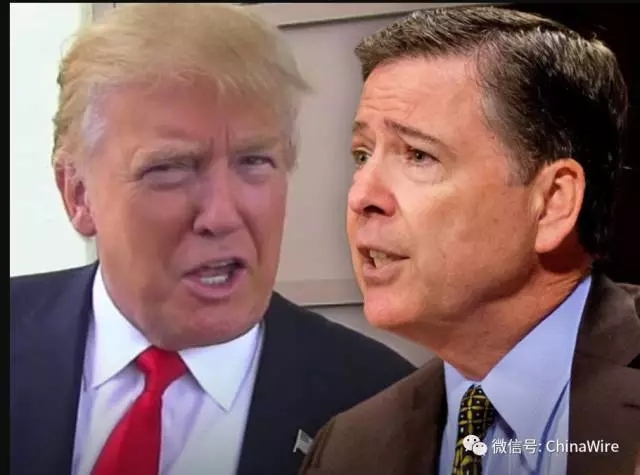 President Trump shocked Washington on Tuesday by firing FBI Director James Comey, the man who had been leading the politically charged investigation into potential ties between the Trump campaign and Russia. “While I greatly appreciate you informing me, on three separate occasions, that I am not under investigation, I nevertheless concur with the judgment of the Department of Justice that you are not able to lead the Bureau,” Trump wrote. The move sent the political world into a frenzy, sparking outrage from Democrats, who said Trump was attempting to shut down the FBI’s investigation. Both Attorney General Jeff Sessions and Deputy Attorney General Rod Rosenstein recommended Comey’s dismissal, citing “substantial damage” to the FBI’s reputation and credibility under his leadership. Specifically, they cited Comey’s handling of the investigation into Hillary Clinton’s private email server that roiled the presidential election last year. At issue, according to a May 9 memo from Rosenstein to Sessions, were Comey’s remarkable public disclosures about Clinton’s conduct. In July, he took the rostrum — without authorization from the Justice Department — to announce that he would not be recommending charges against the former secretary of State. “I cannot defend the Director’s handling of the conclusion of the investigation of Secretary Clinton’s emails, and I do not understand his refusal to accept the nearly universal judgment that he was mistaken,” Rosenstein wrote in the memo. Sessions has recused himself from the FBI’s Russia investigation over his failure to disclose a meeting with Russian Ambassador Sergey Kislyak. Rosenstein, who is widely respected on both sides of the aisle, would be responsible for levying any charges in his absence. The dismissal comes on the heels of Comey’s defiant testimony before the Senate Judiciary Committee last week, during which he declared: “I think I’ve done the right thing at each turn” in the Clinton probe. But Rosenstein argued that Comey had done exactly the opposite. “When federal agents and prosecutors quietly open a criminal investigation, we are not concealing anything; we are simply following the longstanding policy that we refrain from publicizing nonpublic information,” Rosenstein wrote. On its face, the memo echoes many of the complaints Democrats have issued about Comey since Clinton’s loss in November. Many, including Clinton, have blamed Comey’s unusual conduct for her defeat. But while that rage has simmered just under the surface, few were willing to call for Comey’s resignation, fearing whom Trump might choose to replace him. And on Tuesday, they immediately questioned whether the move was intended to derail the Russian meddling investigation, announced in March with Justice Department authorization. Trump in the past had praised the very actions the Justice Department cited to justify Comey’s dismissal. But since the election, as word of the Russia investigation began to appear in the media, Trump has displayed increasing frustration with his independent-minded FBI chief. And he has in the past blasted the bureau for being “totally unable to stop the national security ‘leakers,’ ” following reports that officials refused to dispute a New York Times story that said agents had uncovered contact between Russian officials and his campaign. Several Democrats used the firing to reignite calls for a special counsel to continue the investigation. Meanwhile, several prominent Republicans — including Sen. Lindsey Graham (R-S.C.), a frequent critic of Russia — backed Trump’s dismissal of Comey as others questioned the timing. Other Republicans pushed back on concerns that Comey’s dismissal would damage the integrity of the probe. The firing puts an end to perhaps one of the most dramatic Justice Department careers in recent memory. Comey, appointed by Obama to head the bureau in 2013, has long been seen as a maverick willing to buck executive authority. Long before he earned bipartisan ire for his handling of the Clinton probe, he earned bipartisan praise for racing to the hospital bedside of then-Attorney General John Ashcroft, in 2004 as deputy attorney general, to block the recertification of a controversial counterterrorism program. But his reputation had taken a hit on both sides of the aisle over the Clinton and Russia investigations. Comey suffered one smaller indignity before his firing, when the FBI was forced to correct testimony he made about the Clinton email. Comey had misstated the number of Clinton-related emails forwarded by longtime aide Huma Abedin to her husband, former Rep. Anthony Weiner (D-N.Y.). Those messages sparked the Oct. 28 letter but ultimately revealed no new evidence. A search for a new FBI director would “begin immediately,” according to the White House.